A Short History of Linguistics. General Linguistics. An Introductory survey. The Formation and the Evolution of the French Nasal Vowels. On the Origin of Languages. [Subtitle]: Studies in Linguistic Taxonomy. SOLNTSEV, V. M., LEKOMTSEV, Yu K., MHITARIAN, T. T., GLEBOVA, I. I.
Rodnaya Rech'. Kniga dlya chteniya vo vtorom klasse nachalynoi shkoli. A Selected Bibliography of Slavic Linguistics. 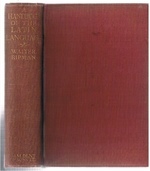 Volume I.
STANKIEWICZ, Edward and WORTH, Dean S.